The UConn Brain Imaging Research Center (BIRC) opened in June 2015. The BIRC is housed in the David C. Phillips Communication Sciences Building, which underwent significant renovations to accommodate the MRI scanner as well as several research laboratories. The center houses a 3T Siemens Prisma MRI scanner alongside equipment for collecting data with high-density EEG systems, eye tracking, and a Transcranial magnetic stimulation (TMS) system. Researchers interested in receiving updates and discussion of the BIRC should join our mailing list MRI_Center-L, available through listserv.uconn.edu! The UConn MRI Center will be a vibrant hub for multi-disciplinary research, including both basic science and translational research with implications for the classroom, clinic, and quality of life. The Center will facilitate scientific discovery and theoretical innovation in cognitive neuroscience and other fields by providing access to state-of-the-art equipment and methods and technical and scientific training. It will support both brain and whole-body imaging and research across the life span and on a range of clinical and nonclinical populations. 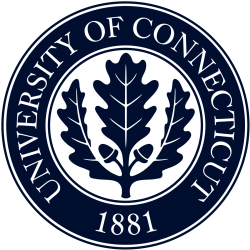 Additionally, the Center will provide educational and research opportunities for UConn’s graduate and undergraduate students and will disseminate scientific knowledge to the broader university community, relevant professional communities, and the general public.